1 of 19 · St Charles' Church (Karlskirche), with Trojan Roman columns. St Charles' Church (Karlskirche), with Trojan Roman columns. 2 of 19 · St Charles' Church (Karlskirche), with Trojan Roman columns. 3 of 19 · St Charles' Church (Karlskirche), with Trojan Roman columns. 4 of 19 · St Charles' Church (Karlskirche), with Trojan Roman columns. 5 of 19 · St Charles' Church (Karlskirche), with Trojan Roman columns. 6 of 19 · St Charles' Church (Karlskirche), with Trojan Roman columns. Autumn colours at Festung Hohensalzburg. 7 of 19 · St Charles' Church (Karlskirche), with Trojan Roman columns. 8 of 19 · St Charles' Church (Karlskirche), with Trojan Roman columns. 9 of 19 · St Charles' Church (Karlskirche), with Trojan Roman columns. 10 of 19 · St Charles' Church (Karlskirche), with Trojan Roman columns. Festung Hohensalzburg, Dom Kirche and Franziskaner Kirche. 11 of 19 · St Charles' Church (Karlskirche), with Trojan Roman columns. 12 of 19 · St Charles' Church (Karlskirche), with Trojan Roman columns. Maria, from The Sound of Music, at the Salzburger Marionettentheater. 13 of 19 · St Charles' Church (Karlskirche), with Trojan Roman columns. Lipizzaner horses at the Spanish Riding School in Vienna. 14 of 19 · St Charles' Church (Karlskirche), with Trojan Roman columns. Singing in the Alps in traditional clothing. 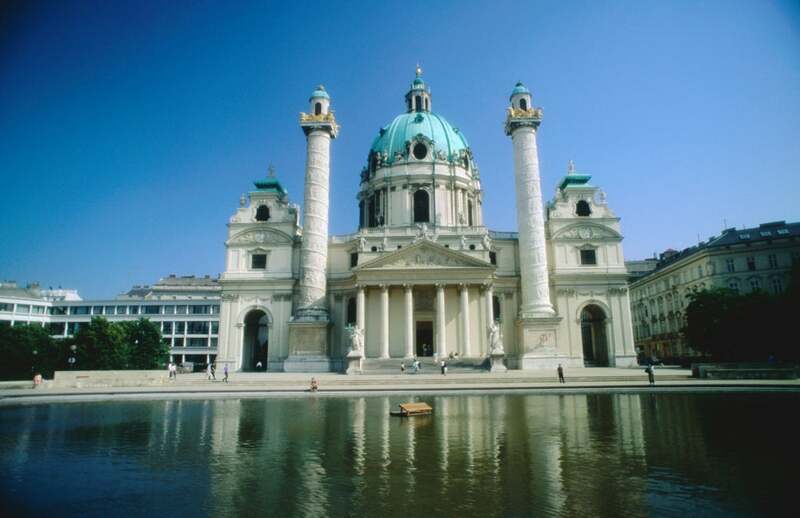 15 of 19 · St Charles' Church (Karlskirche), with Trojan Roman columns. 16 of 19 · St Charles' Church (Karlskirche), with Trojan Roman columns. 17 of 19 · St Charles' Church (Karlskirche), with Trojan Roman columns. 18 of 19 · St Charles' Church (Karlskirche), with Trojan Roman columns. 19 of 19 · St Charles' Church (Karlskirche), with Trojan Roman columns.